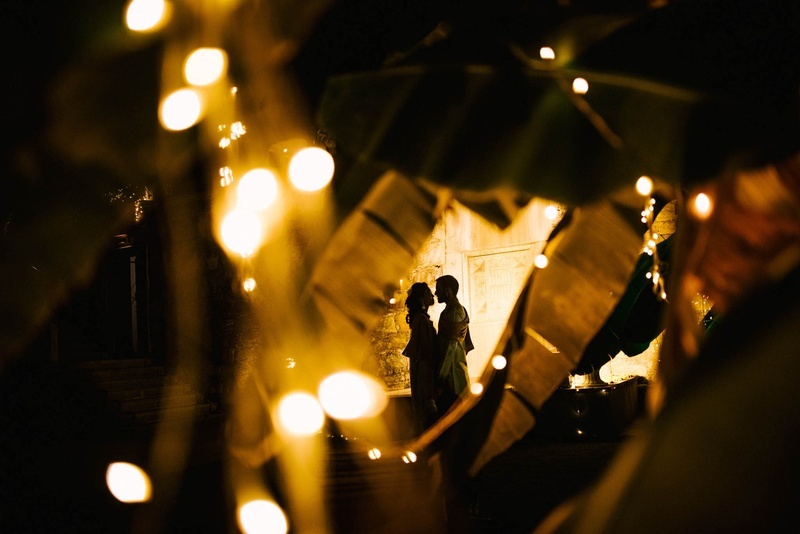 Love knows no religion. 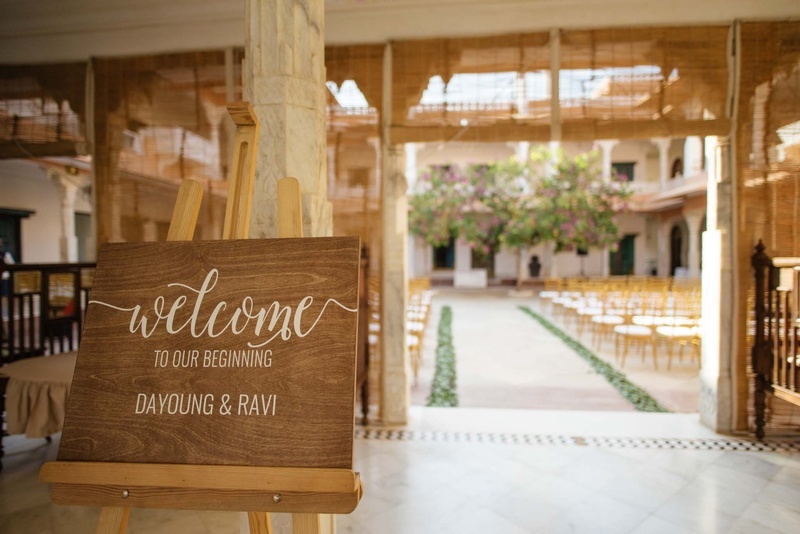 That is exactly what Ravi and Dayoung will tell you. 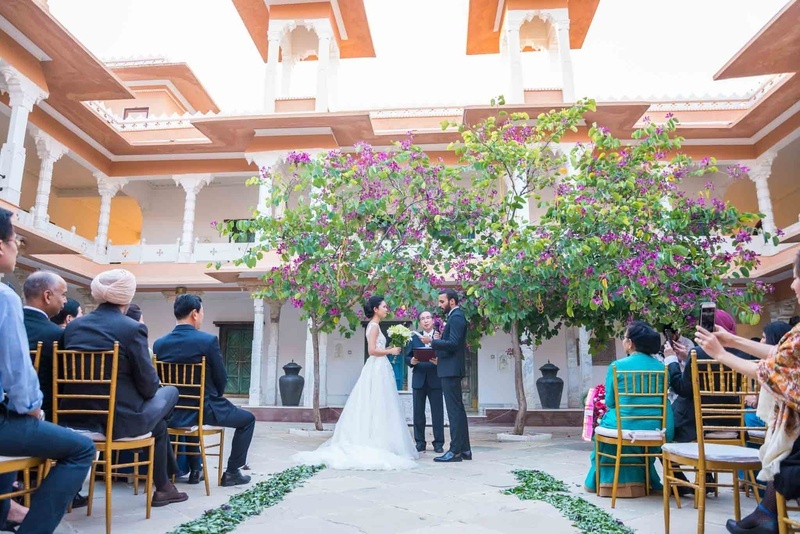 They tied the knot in a inter faith ceremony at Fategarh Fort, Udaipur. 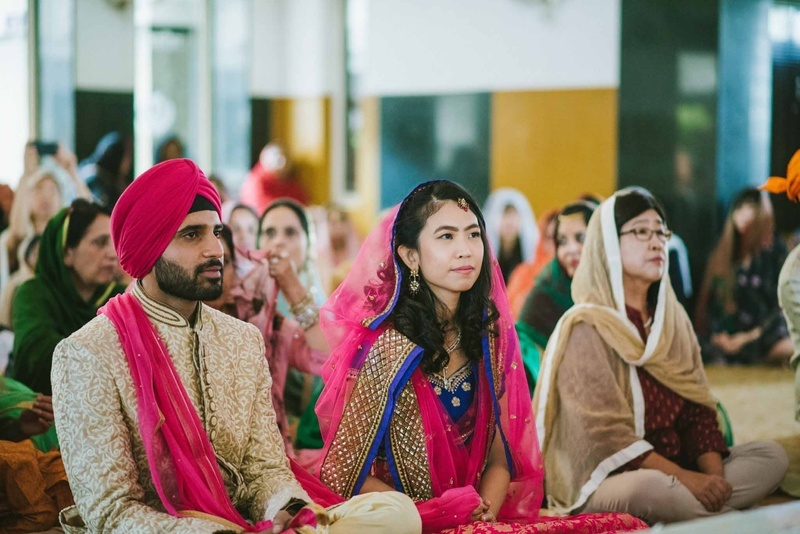 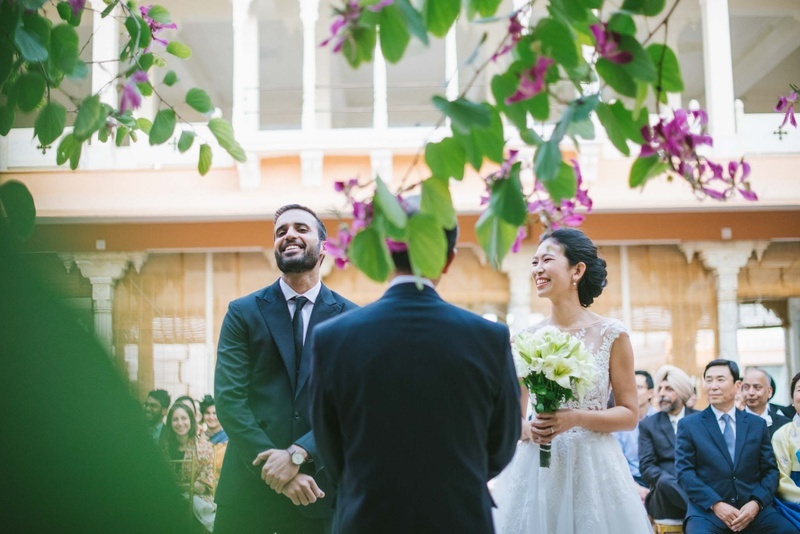 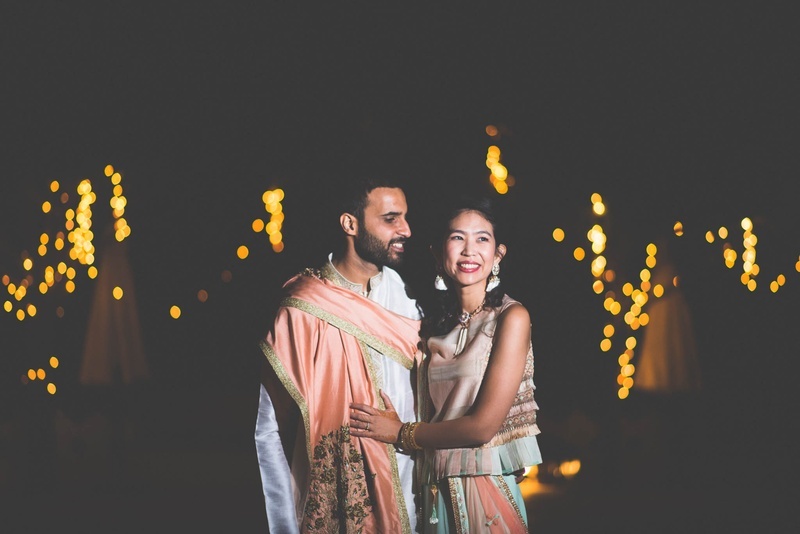 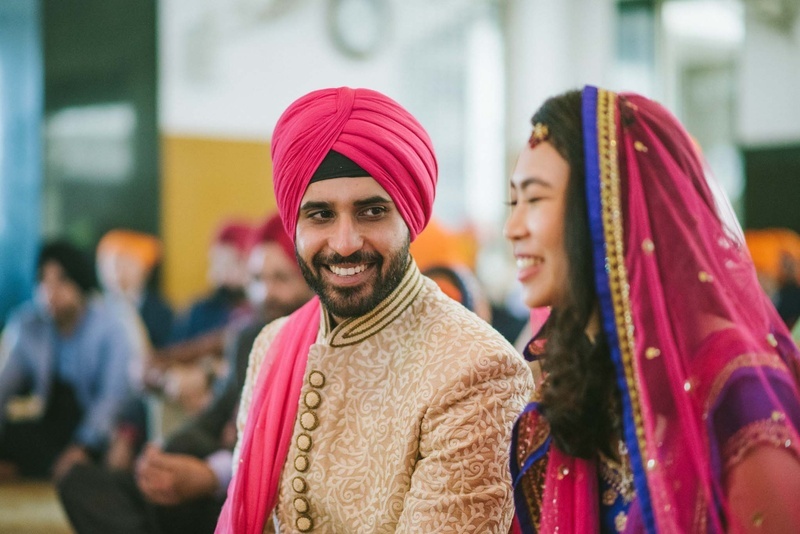 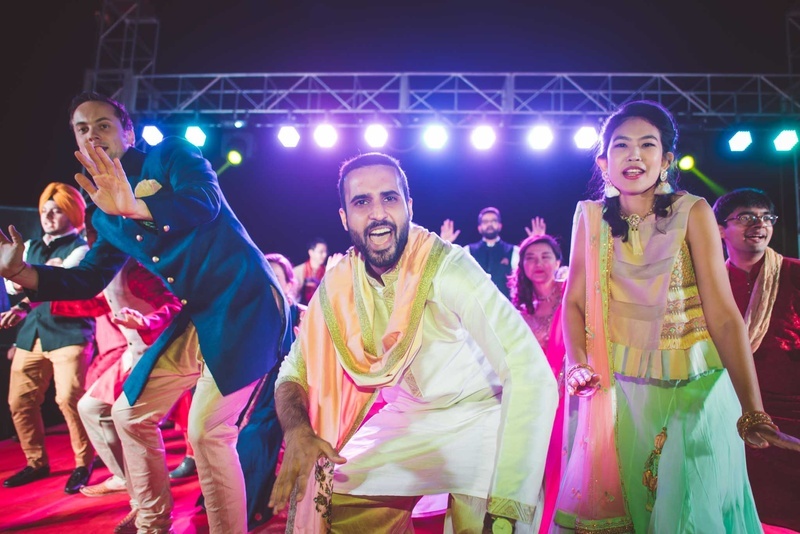 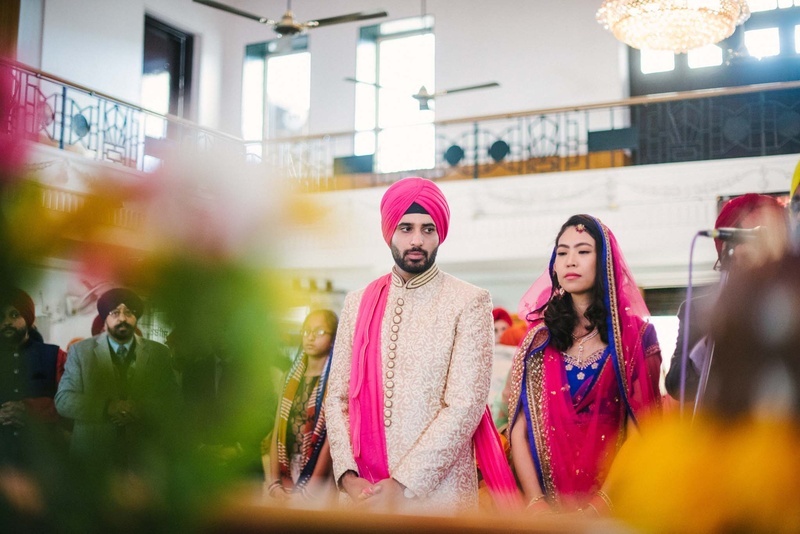 They had two wedding ceremonies- Christian and Sikh.The happiness is visible on their faces and their pictures will make you happy too! 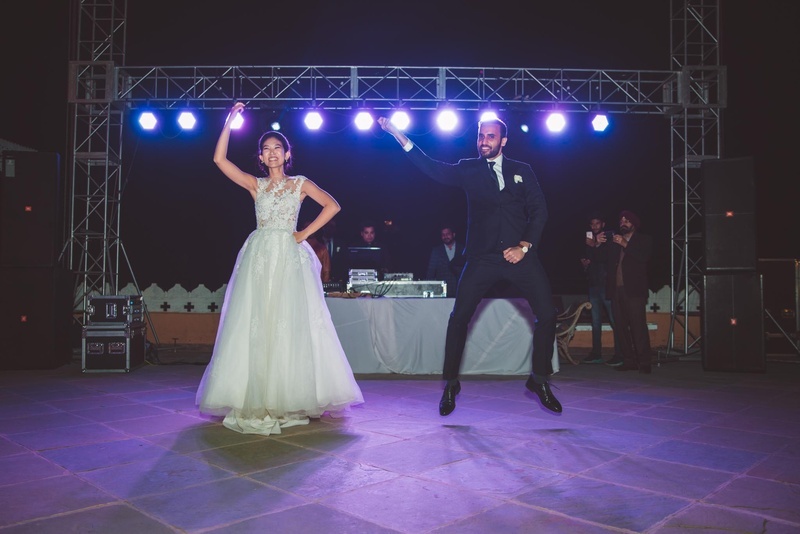 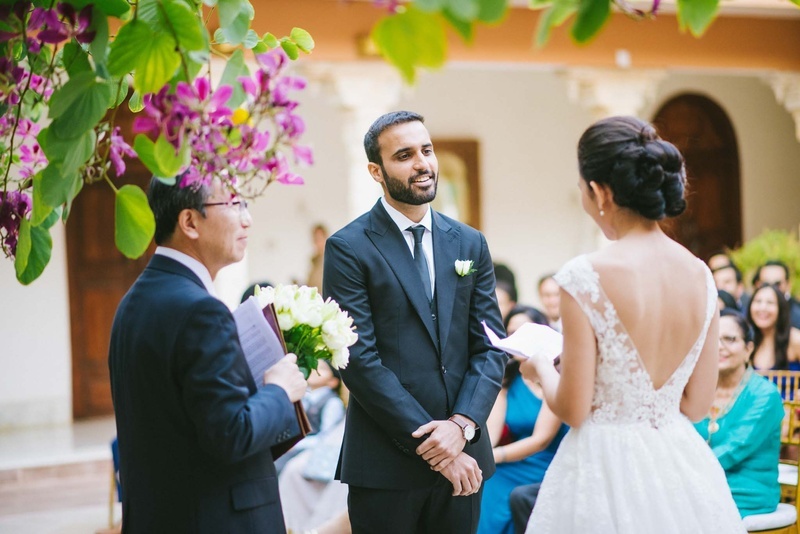 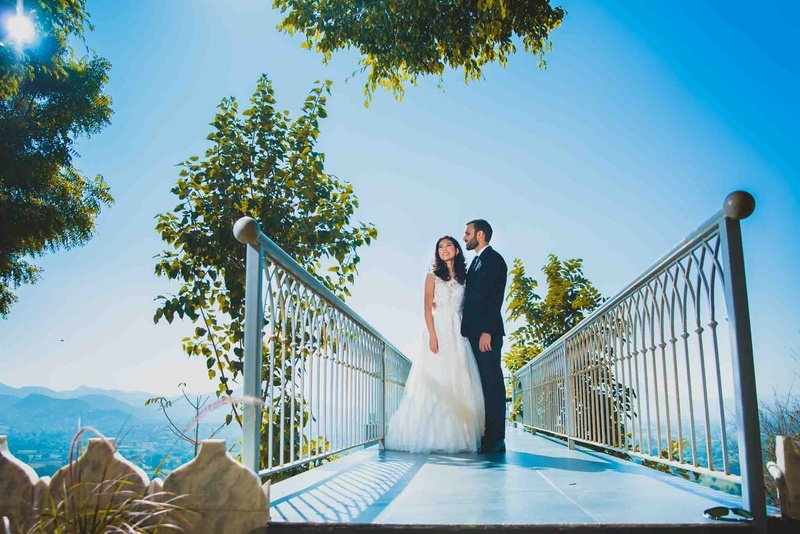 Dayoung wore a traditional white gown while Ravi chose a charcol grey tuxedo. 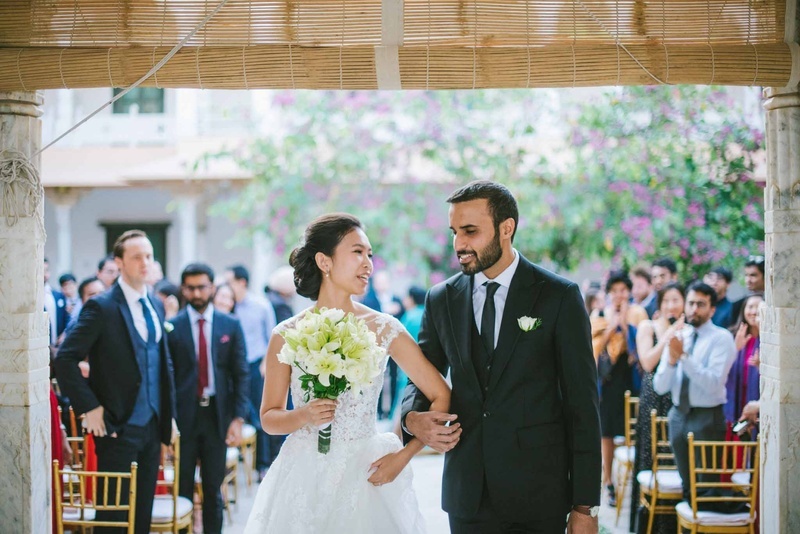 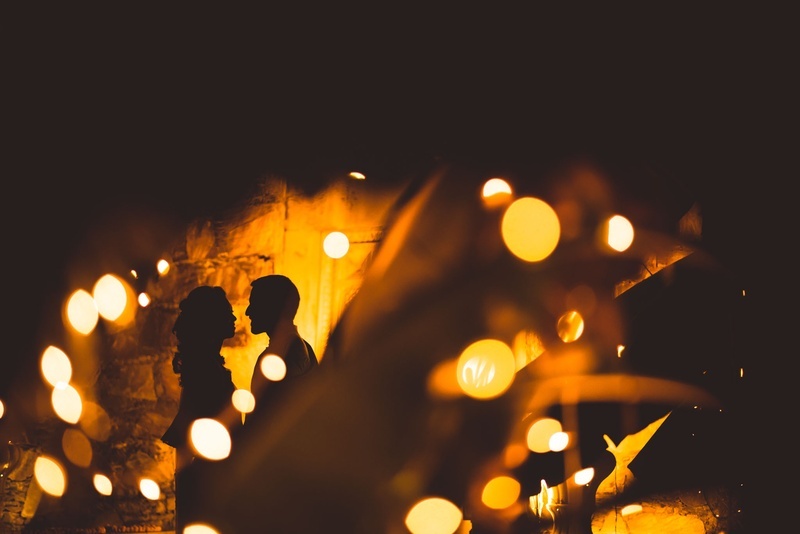 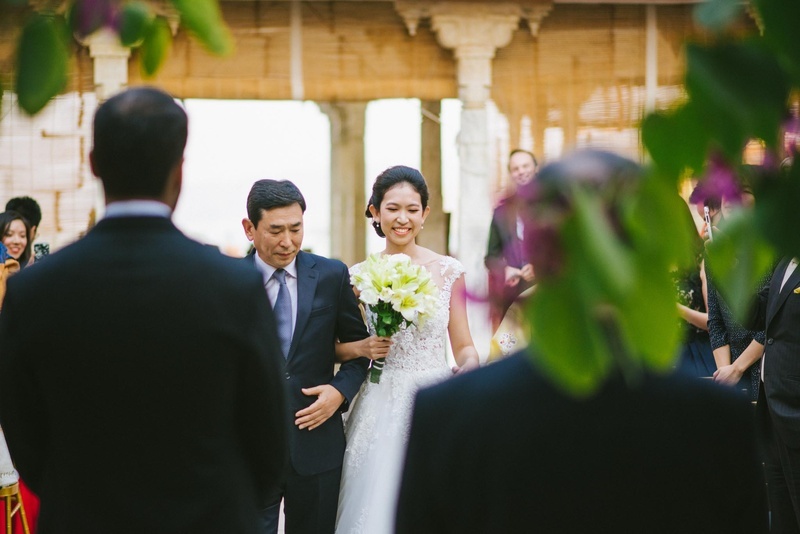 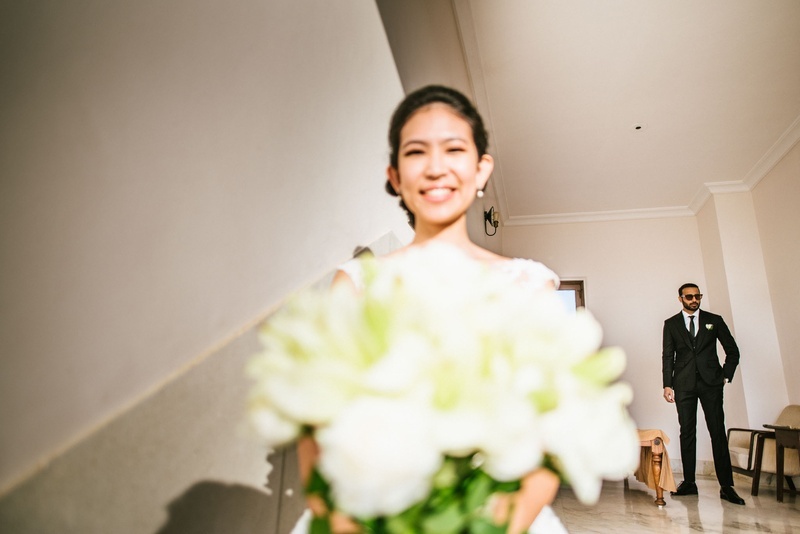 She looked absolutely stunning and swept him off his feet while she walked down the aisle. 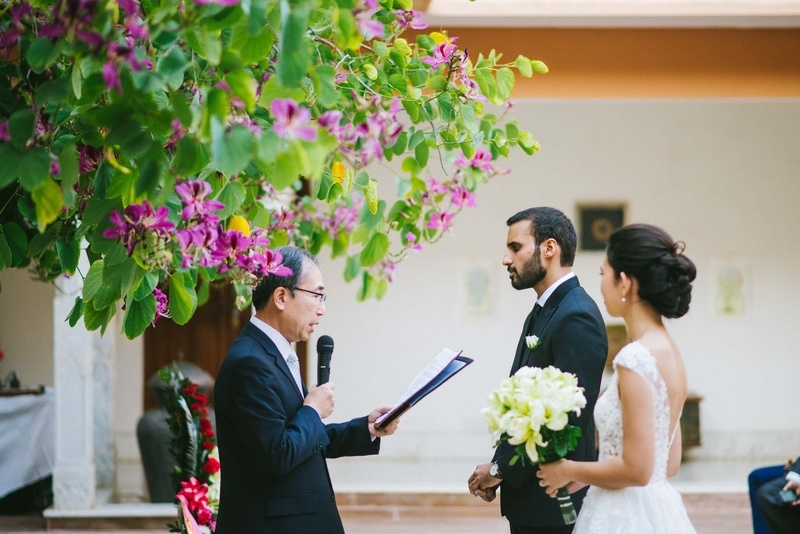 Vows of a lifetime were exchanged between the two. 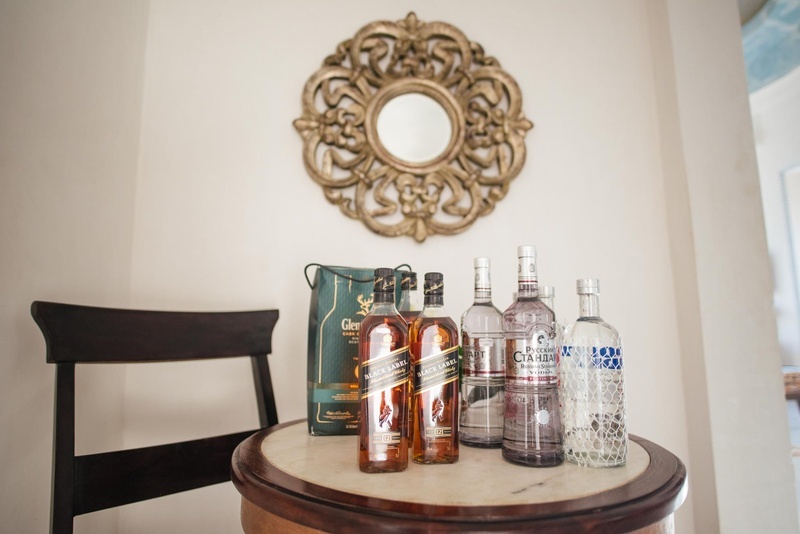 We love the concept of minimalistic decor! 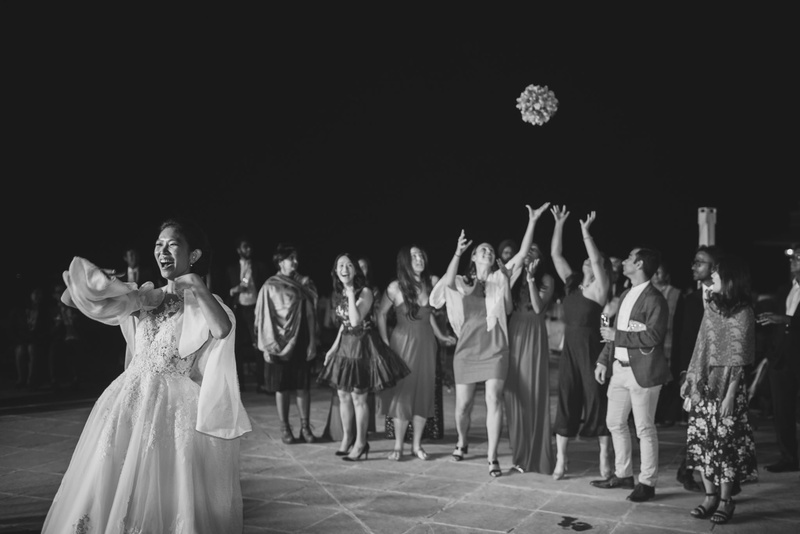 Dayoung even got a chance to throw the her bouquet towards her bridesmaids! 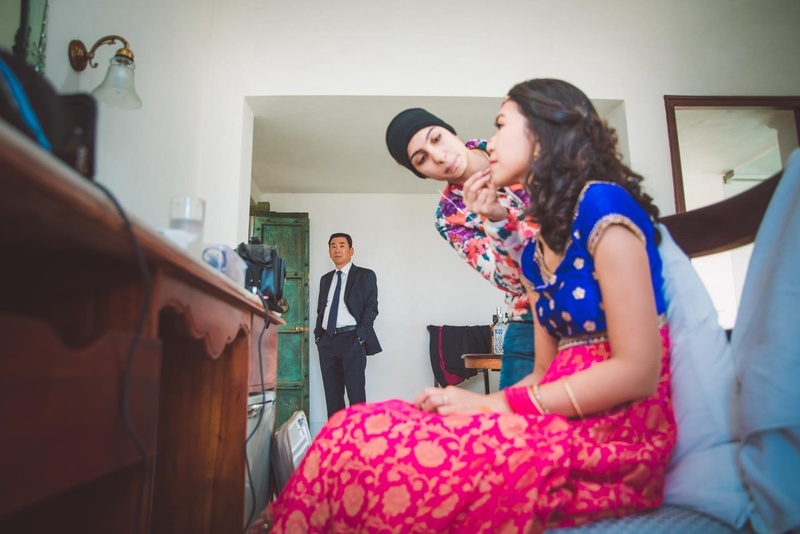 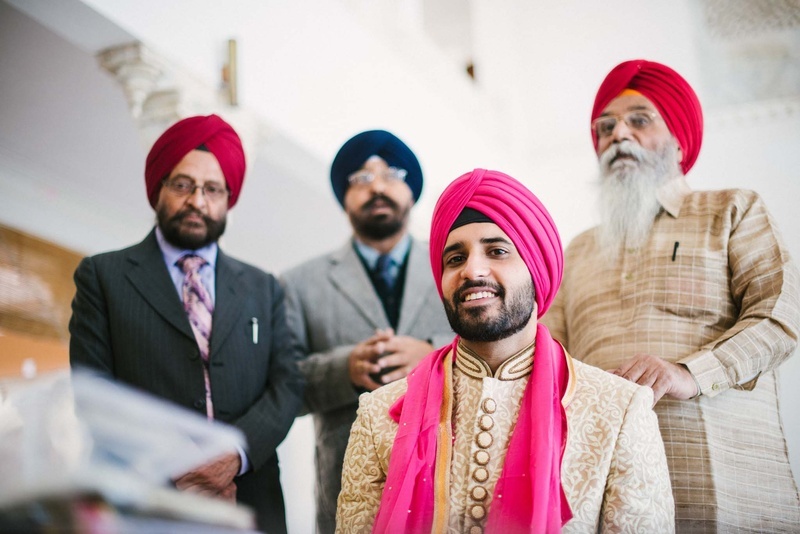 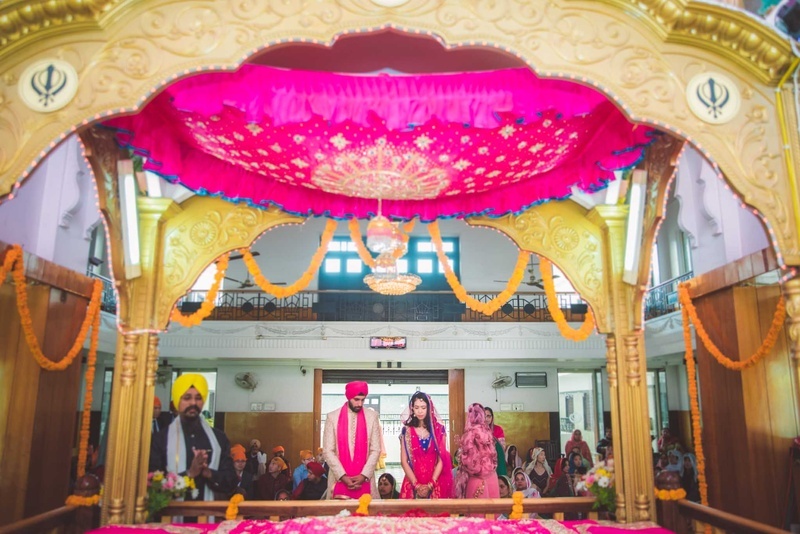 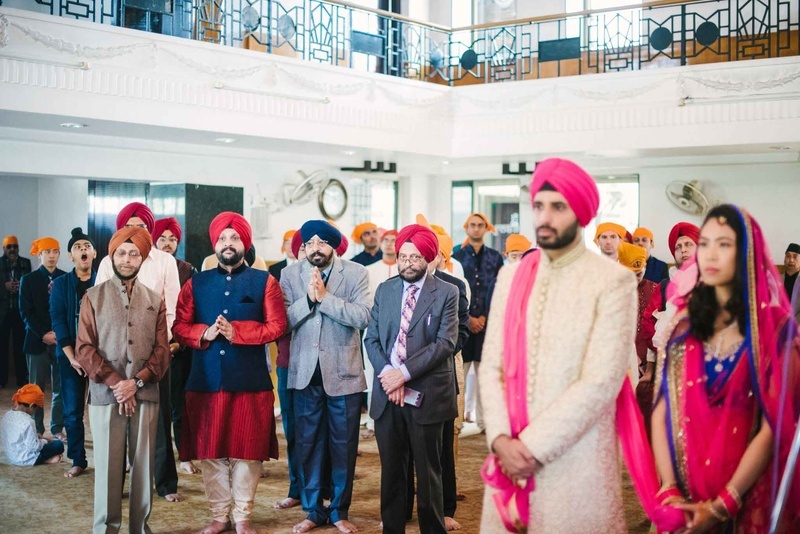 After the christian wedding a traditonal Sikh weddding took place at a gurudwara. 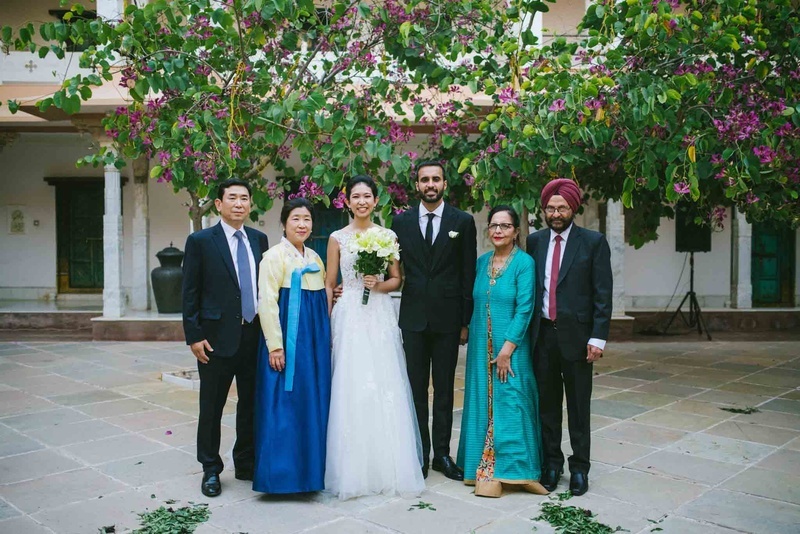 Dayoung wore a royal blue and hot pink lehenga.